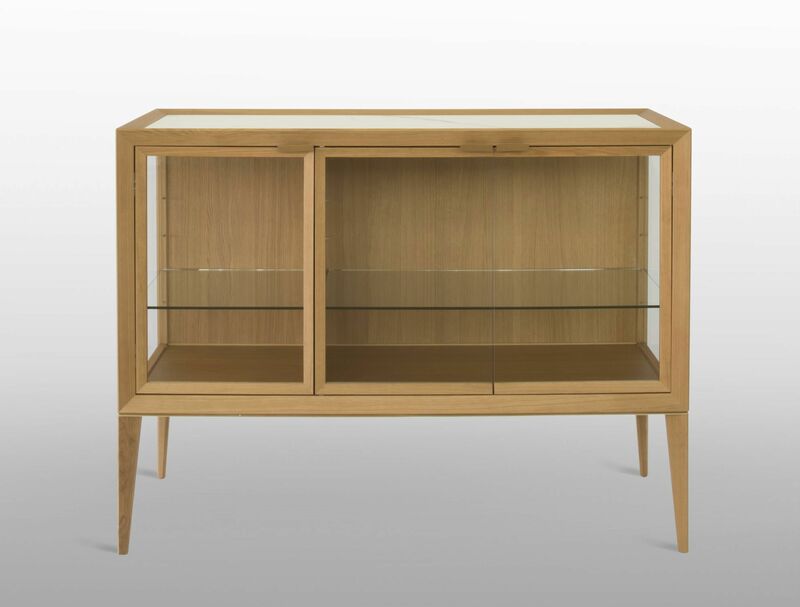 Cabinet with honey oak structure. 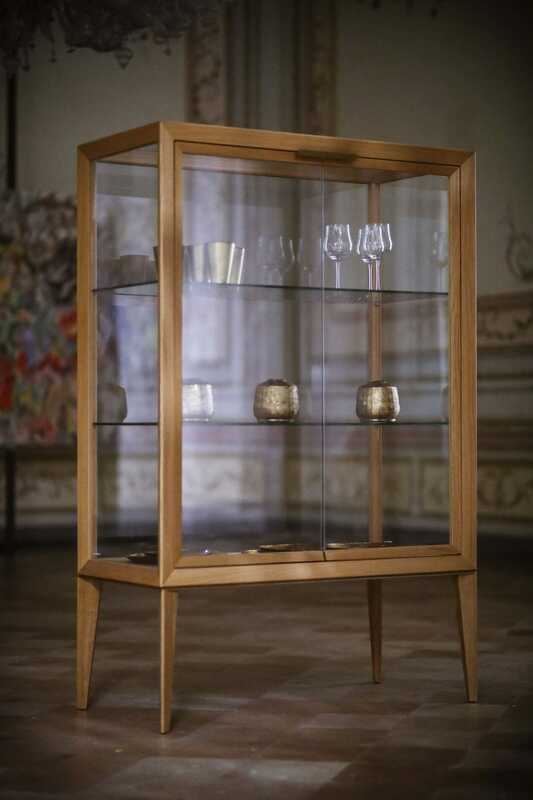 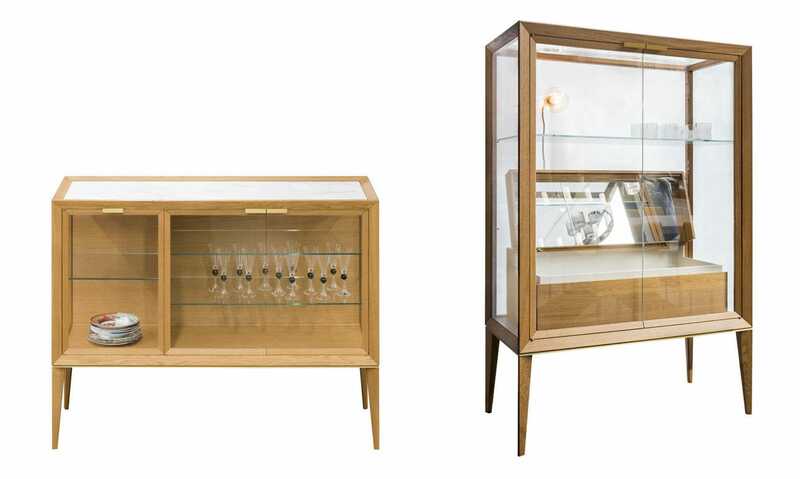 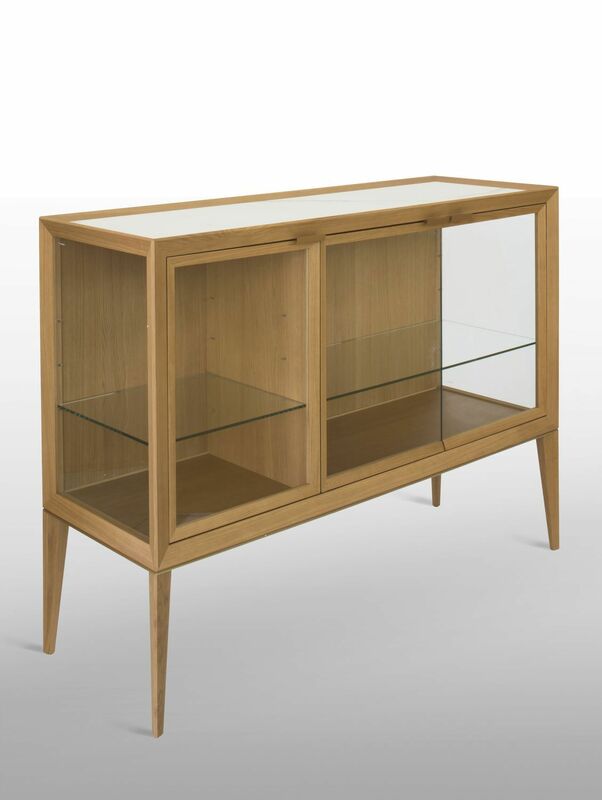 Honey oak cabinet with back, doors , top, sides and shelves in transparent tempered glass. 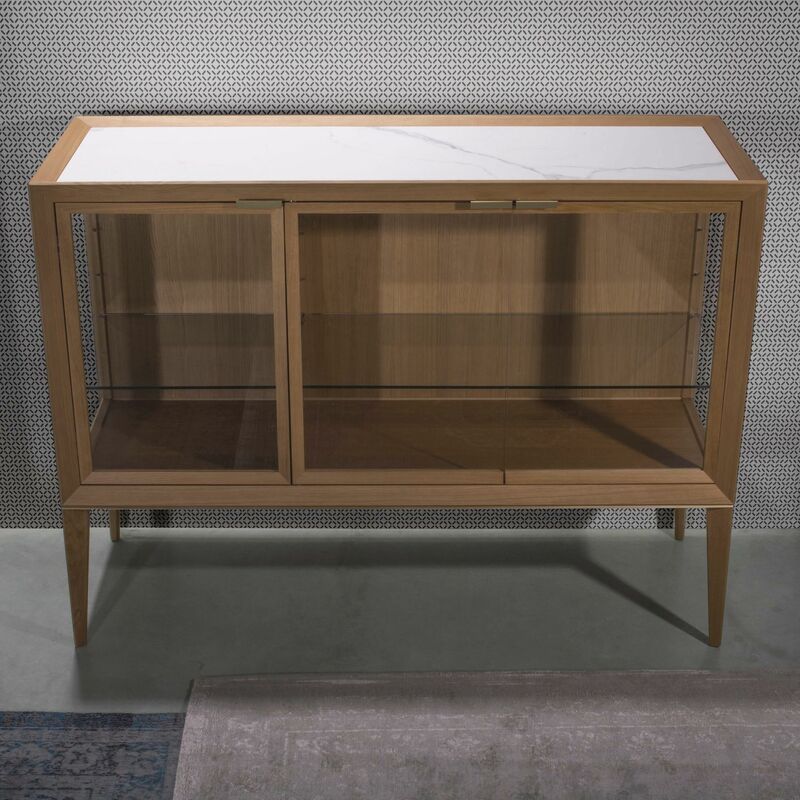 Low Medea with ceramic Statuario white top and honey oak back.